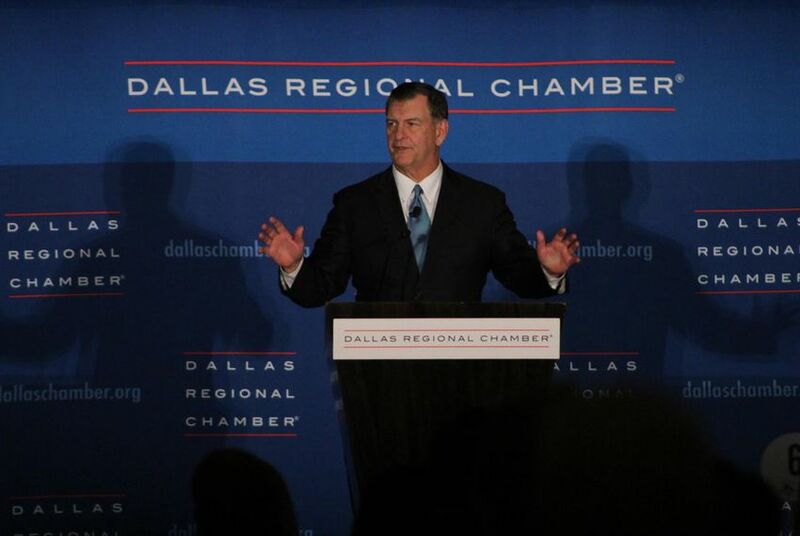 Dallas Mayor Mike Rawlings on Wednesday announced that the city council decided to join a number of Texas cities and counties in fighting the state's immigration bill, Senate Bill 4, in federal court. The city of Dallas is entering into the battle to stop the state’s immigration law, Senate Bill 4, from going into effect. "The bill is unconstitutional and would infringe upon the city's ability to protect public safety," Mayor Mike Rawlings posted on his official Facebook page Wednesday. He said Dallas would work with other cities to challenge the measure in court. The law, known as the "sanctuary cities" measure, would allow local law enforcement officers to question the immigration status of people they legally detain or arrest. It is set to go into effect in September. The city's move comes after the state of Texas launched a pre-emptive strike in May and asked a federal court to declare the law constitutional. Dallas is the latest local government to decide to take legal action to stop the legislation, which would punish police chiefs, sheriffs and elected officials who don’t cooperate with federal immigration agents by turning over immigrants subject to possible deportation. Opponents of the law call it unconstitutional and racist and argue that it undermines the ability of local governments to craft their own polices as they see fit in order to keep their cities safe. The cities of Austin, San Antonio, Webb County’s El Cenizo and Maverick and El Paso counties have already filed legal challenges to the law, which Gov. Greg Abbott signed last month. It’s still unclear if Dallas will join those lawsuits or file its own. And earlier this week the American Civil Liberties Union filed a motion on behalf of the Texas LULAC and its members, the City of El Cenizo, and Maverick County asking a federal district court in San Antonio to fast-track a ruling on the constitutionality of SB4.